Business Network was founded by a group of UK based business people, and is a private, non-profit membership organization aiming to promote and increase the bilateral trade potential and investment levels between all nations. 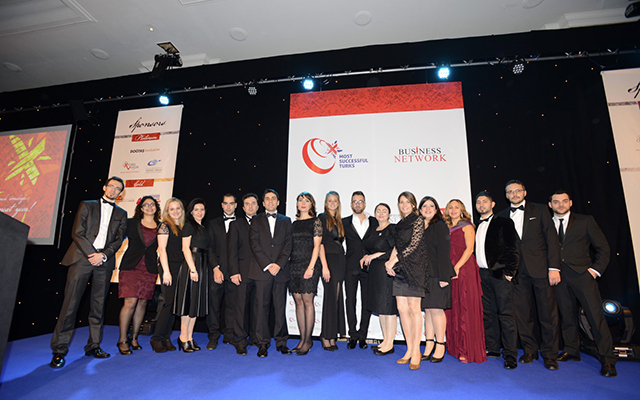 The Business Network Most Successful Turks Awards is an awards program recognising success, innovation and ethics across business within the UK.The 2013 ceremony awarded individuals and companies that deserve recognition for their extraordinary work in their particular fields. While many of the categories focused exclusively on members of the Turkish Community, Britons who have been supportive of the Turkish Community, both in the UK and in Turkey, were also recognised.The event, which took place at Hilton Park Lane Hotel, began at 6.30pm where smooth Jazz greeted guests. Once seated, guests of the ceremony watched a short film based on Business Network and a delicious dinner was served.Over 150 organisation and individuals were nominated and over 85,000 online votes through our website (mostsuccesfullturks.org). The nominees were later put through to our panel of distinguished judges to be short-listed. Our Judges comprise of prominent members of society including heads of organisations and business people. Ozan R. Adan, Editor in Chief BN Magazine, was the first to speak who touched upon the importance of trade and social relations between Turkey and the UK. Omer Celik, The Minister of Culture and Turism to Turkey: Prof. Mehmet Saglam, Turkish Parliament Vice Speaker and distinguished spekaers also stated the similar thoughts. The night ended with all the winners taking photos on stage and thanking Business Network for their work in the organisation of the event.